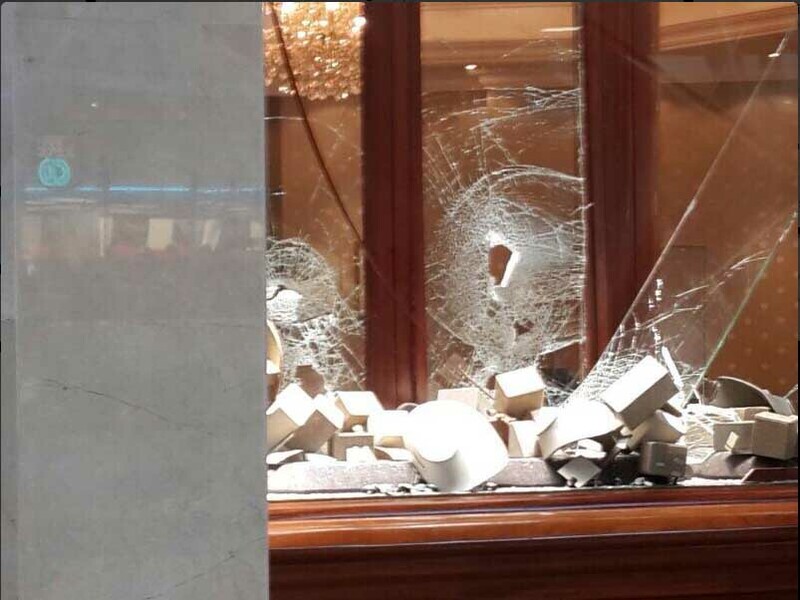 A jewellery store window at Cradlestone Mall, where a robbery took place on Sunday, 15 June 2014. JOHANNESBURG - A gang of about 10 men staged a dramatic robbery at a jewellery store at the newly opened Cradlestone Mall in Krugersdorp on Sunday. Police said two suspects entered the store around 9.30am and ordered the staff lie down on the floor. "Two suspects entered the jewellery store at Cradlestone Mall and pointed a firearm at the two salespersons, then told them to lie on the floor. A group of people entered and took the jewellery," Captain Tsekiso Mofokeng said. The bullet shells found at the crime scene have been sent for ballistic testing. "They fired two shoots before leaving the store," Mofokeng said. Singer and Isidingo actor Izak Davel performed shortly after the incident. He could not be reached for comment but later tweeted about the show. Lekkaaaaaaaaaa show at Cradlestone except for those wingnuts robbing the Browns store just before my show. Police said the group fled the crime scene in a grey Mercedes Benz and a silver BMW. No suspects have been arrested yet. Police said they could not confirm whether the gang is part of the "Mercedes Benz gang" that has been blamed for other hijackings in Johannesburg.